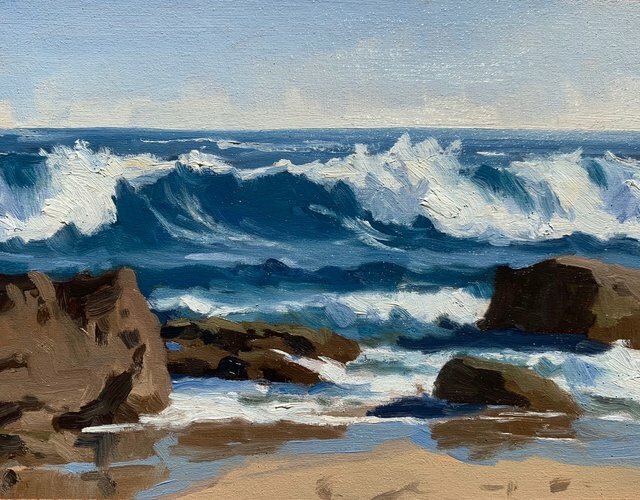 Whilst I have been seascapes in my studio for years, painting the sea from life ‘en plein air’ is a whole different animal. I’m in Australia at the moment and I’ve been taking the opportunity to get to the coast to paint outdoors. I’m certainly out of my comfort zone at the moment but it’s the only way to learn and that is to keep going back and paint the sea...I’m already quickly discovering what works and what doesn’t. 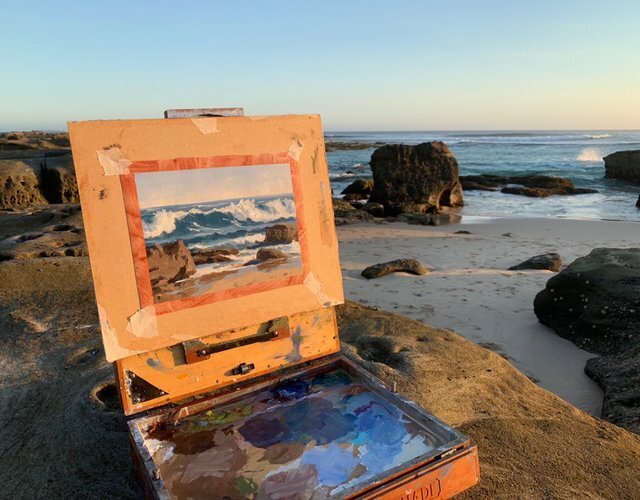 I painted this art work in oils, outdoors on location at Soldiers Beach, NSW, Australia. @veryspider thanks mate, yeah painting the sea from life is pretty challenging. I’m definitely out of my comfort zone! Oh my God! This is really beautiful, @samuel-earp-art! The colors, at least for me, are fresh and warm, as if the sea decided to pose for you. Now, I'm curious: Hoy many time did take to paint this and other landscapes?